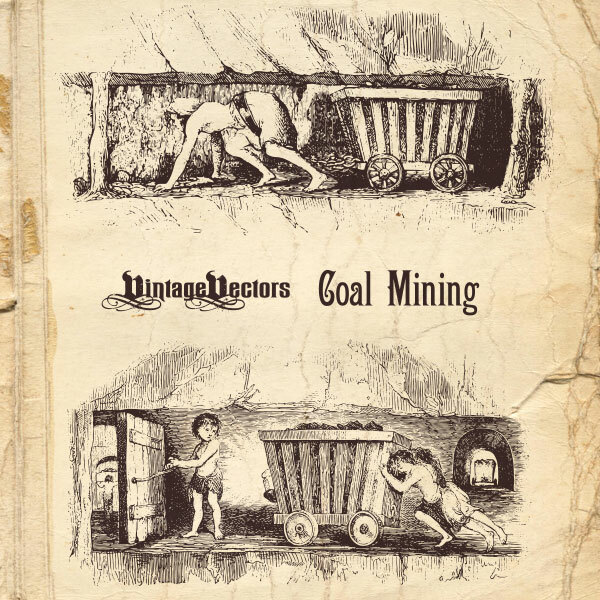 Two old engravings of children and a young woman pulling/pushing coal carts full of coal along the ground in old, cramped coal mines with wood support beams and doors. Click the brown “DOWNLOAD IT” button to get the free vectors in EPS format. Speaking of coal mining – check out this promotional video submitted by a fan of our site for his band The Lean And The Plenty. They are giving away a free song download of Black Mountain Blues, a contemporary coal mining story song.